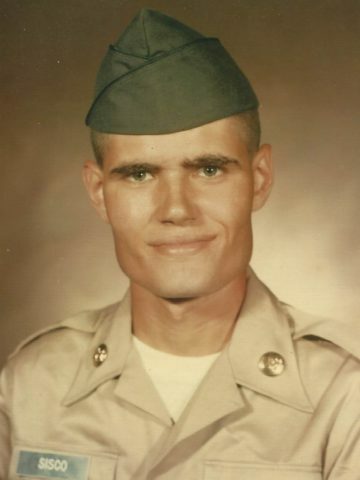 Robert Allen Sisco, age 71, a long time resident of Hendersonville, Tennessee, passed away on March 4, 2019. Born to the late Grady Robert and Martha Ann Steward Sisco on December 23, 1947. He is survived by his brothers and sisters, Lewis Sisco Linda Sisco McConnell, Nancy Sisco Alvis, Billy (Jeanie) Sisco, Clay Sisco (Laura Primm), Terry (Bonnie) Sisco, and Kenny Sisco. Robert served in the US Army 2nd Batalion 5th Calvary of the 1st Calvary Division (Airmobile). Received Combat Infantry Badge, Vietnam Service Medal, Two overseas bars, Army Commendation medal, Vietnam Campaign, Air Medal, National Defense Service medal, Bronze Star, MKM M16. He will be dearly missed dearly by his family and local community. Visitation will be at Cole & Garrett Funeral Home, Goodlettsville Thursday March 7 from 4-8 pm. Chapel service will be on Friday March 8, 2019 at 11 am with interment to follow at Forest Lawn Memorial Gardens with military honors. Prayers from phillip stokes & family robert was sweet guy..
As his Military career exemplifies, no task or job was ever too great for Robert to undertake and always give 100 percent for others. Thank you for your service. We are keeping you and your family in our thoughts and prayers. Robert will surely be missed by Cecil Keisling and his family, Lucy, Tina and Alma. Robert was a wonderful person and willing to help anyone that needed help. He was always smiling and happy. We love you Robert and will miss you very much. Terry, so sorry for the loss of your brother my prayers are with you and the family.